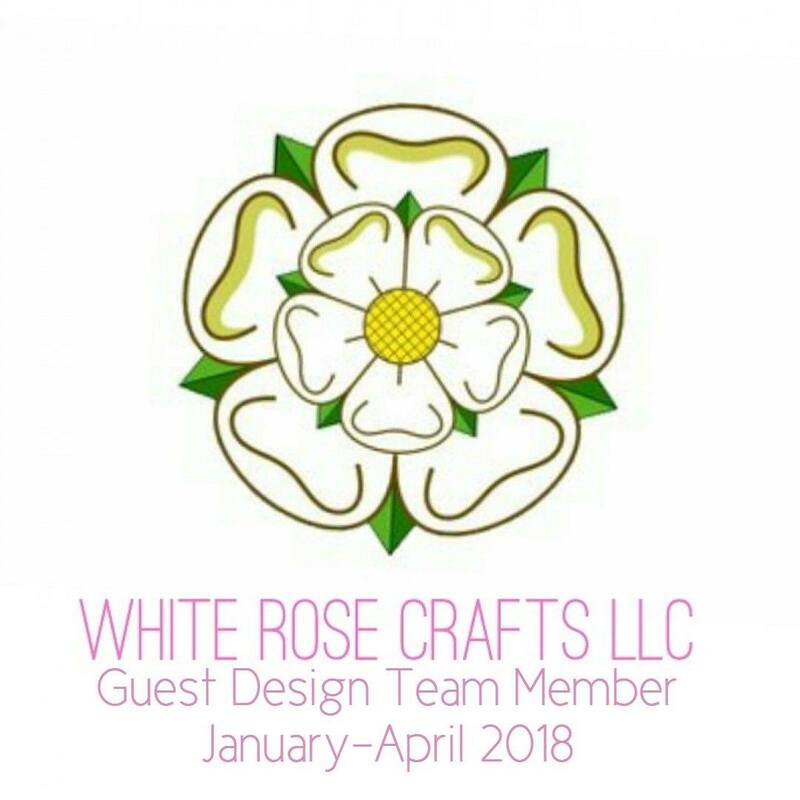 Greetings friends and fellow crafters, LeeAnn here with my first project as a member of the Scrapping For Less design team. Let me say this is going to be a fun ride. 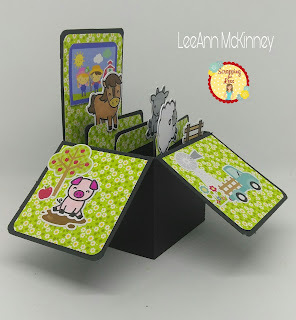 So, today I am highlighting the "Hay There" stamp set from Lawn Fawn, available in the Scrapping For Less Store. 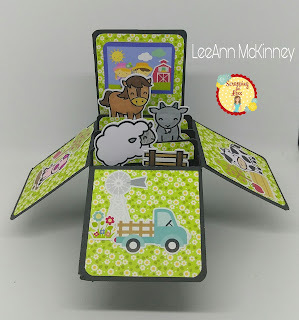 I also used the "Down on the Farm" 6x6 paper pad and mini icons from Doodlebug. 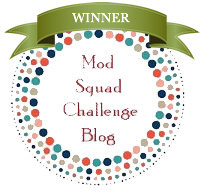 I am always amazed how well Lawn Fawn and Doodlebug work together. So, now that you know what I used, how about showing you what I made. After stamping and coloring the cute animals I decided this had to be a box card, so that everything would fit and have the ability to be seen. Once my coloring was complete I cut the images and set to making my box card. The box card base is 11.5" wide and 5.5" tall. each section is 2.75" wide. The base is scored up at 2.75" to create 3 flaps that will fold down. The 4th side was left tall to create the back side when standing. I cut three 2.5" x 2.5" and used my Corner Chomper to round the edges. I used double stick tape to adhere the panels. The back panel is 2.5" x 3.5" so that it will cover the panel down past where my farm critters are. The panels my critters are on 3.5" wide and 3" tall. I added a .5" panel of the same wildflower field pattern paper to each panel to simulate the critters standing out in the pasture. On the left panel is a mud pit, Apple Tree and apple from the Mini Icon Set, and the Pig from the stamp set that I colored. The front panel is a windmill, flowers and truck from the Mini Icon Set. On the right side is a bail of hay, apple tree and apple from the Mini Icon Set and Cow from the stamp set. The photo image on the back panel is from an icon sheet in the 6"x6" paper pad.